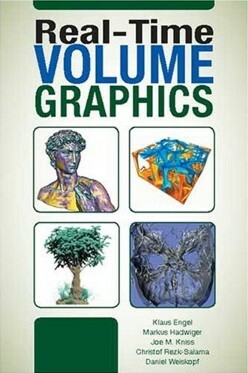 Based on course notes of the SIGGRAPH course ‘Real-Time Volume Graphics’ this book teaches techniques for real-time rendering of volumetric data and effects using the OpenGL API. The book covers both applications in scientific visualization and real-time rendering. It starts with the basics (texture slicing and texture-based ray casting) and then improves and expands the algorithms incrementally. The book is full-color throughout and includes source code, algorithms, diagrams, and rendered graphics.